I had fun trying to achieve a fake bokeh effect with Photoshop blur filters. 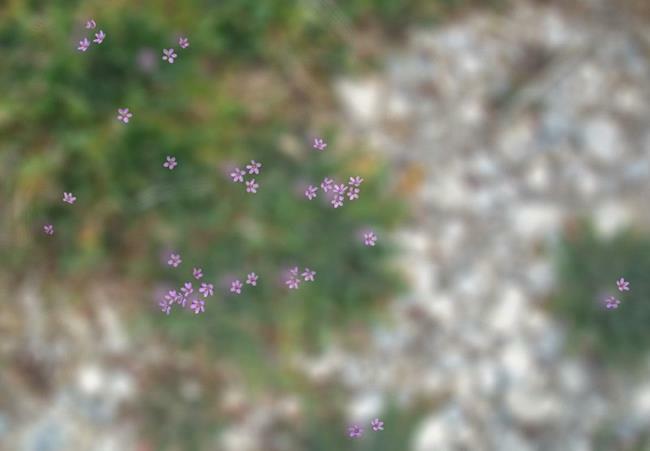 The little purple flowers were masked and readded after the blur filter was applied. I thought this might be what a bee would pay attention to on her morning fly-over of the garden. The shot was taken on a path in my garden with a point and shoot Sony W5 that doesn't do real bokeh at all. 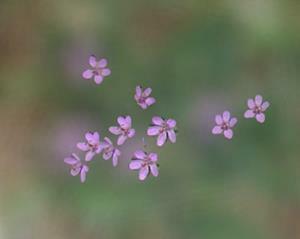 The flowers are tiny weeds that pop up in the spring.